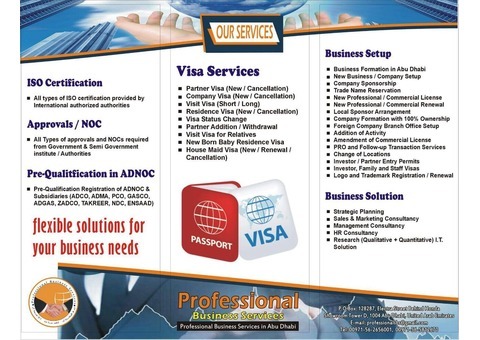 Abu Dhabi | PRO Services | UAE Classifieds | New Business Setup & Sale Old License!!!! » New Business Setup & Sale Old License!!!! New Business Setup & Sale Old License!!!! Want to save time at low cost with your business needs? PBS is here to assist you! 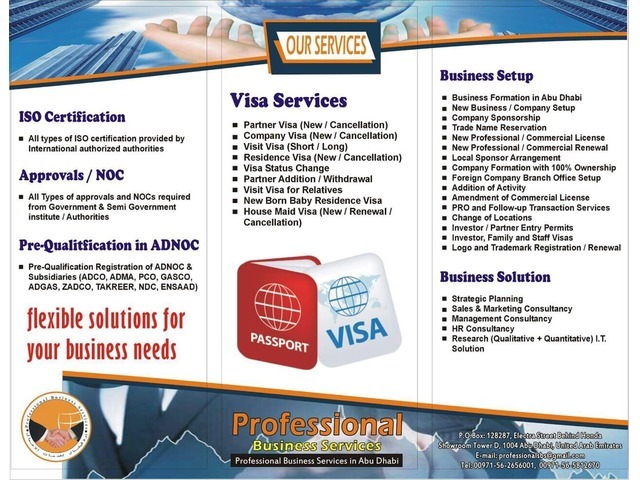 Professional Business Services works with personalities to help them set up their Business in UAE. We handle the complete business set up procedures –strategic recommendations, negotiations with local sponsor , Documentation formalities –everything you need to get your own business up and running here in the UAE! 18/04/2019 New Business Setup & Sale Old License!!!! 17/04/2019 New Business Setup & Sale Old License!!!! 16/04/2019 New Business Setup & Sale Old License!!!! 10/04/2019 New Business Setup & Sale Old License!!! !